The Kingdom of Bhutan is the last remaining kingdom in Asia and is the only place in the world to measure Gross National Happiness. 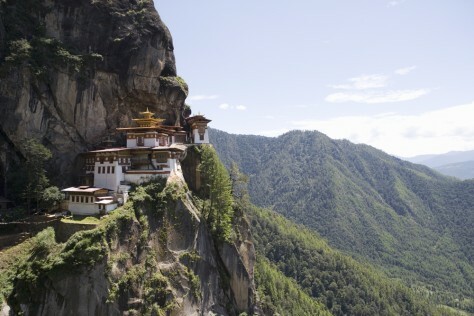 Takstang means “tiger's lair” and hangs on a cliff high above the Paro valley. Visitors must climb the slope on foot or by mule.